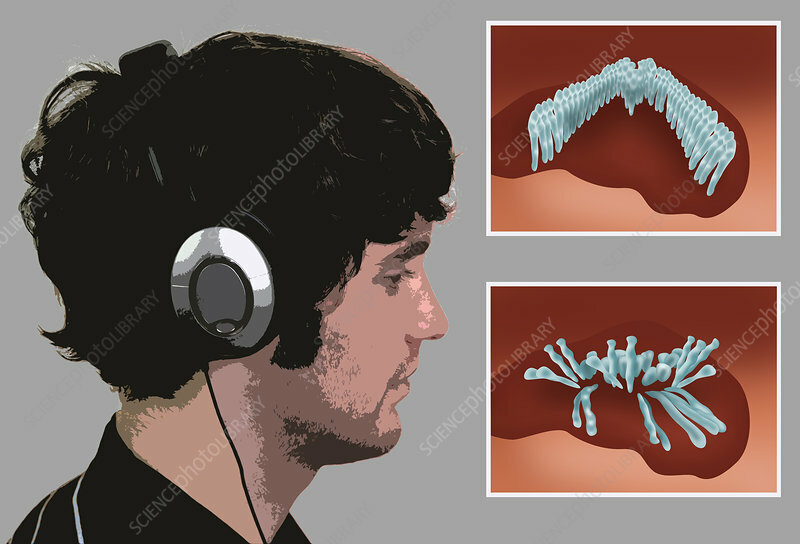 Illustration of man in profile wearing noise-cancelling headphones and inner ear hair cells at right. If used properly, noise-cancelling headphones allow you to listen to music at a lower volume because the surrounding noise is not competing. On the flip side, it is important to monitor volume levels when using headphones as extremely loud music can damage hair cells in the inner ear. Insets at the right illustrate hairs of the inner ear before (at top), and after (at bottom) loud noise has damaged them.